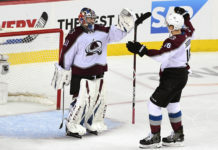 A week into training camp the Colorado Avalanche will lace up the skates against their first opponent. Tomorrow night the Avs will play the Ducks at the Pepsi Center. After a disappointing 2014-15 campaign this offseason was a busy one for executive vice president Joe Sakic. Ryan O’Reilly was shipped to Buffalo and Carl Soderberg was brought in to replaced him. Sakic used the offseason to add youth, size and much needed depth to the blue line. 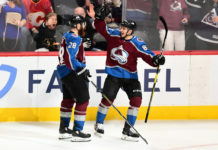 If the Avalanche have any hopes of making the playoffs this season the defensive unit most show significant improvement. Semyon Varlamov can’t be asked to bail out the defense night in and night out again. He needs help from the guys in front of him. 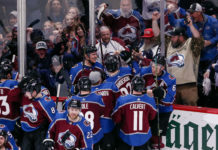 There is plenty of pressure surrounding those at the Pepsi Center to get back on the top of the central division. Here are the five Avs facing the most pressure this season. Replacing a fan favorite is never easy and that’s Soderberg’s biggest challenge; can he replace O’Reilly’s on the ice presence? O’Reilly’s 55 points don’t tell the full story of his impact on the ice. He is a great two-way player and logged tons of ice on the penalty kills and power plays. With a $23.7 million price tag Colorado will need Soderberg to fill those voids immediately.